Did you know that 50% of entrepreneurs are unaware key information is missing from their presentation? 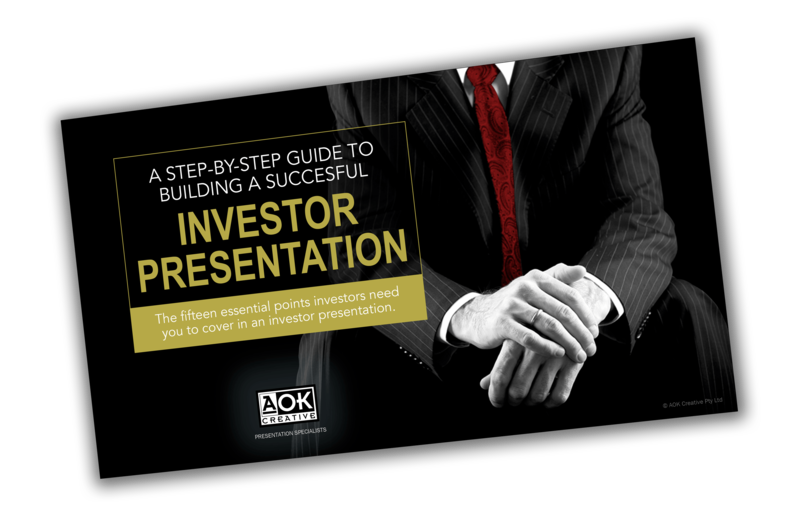 This pdf will give you the fifteen essential points you need to cover in your investor presentation. With only one opportunity to present to venture capitalists you can’t take any chances. All material in this guide is the property of AOK Creative Pty Ltd.
Email us if you need any further assistance or visit our website.